Home > Community > Contests & Winners > Fun with Food > Winner of our September contests! Winner of our September contests! Check out our September Youtuber of the month! Congratulations, Jack! 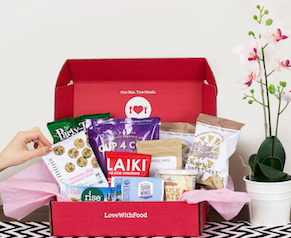 We love your monthly unboxing videos of Love With Food boxes. please keep making them! [youtube https://www.youtube.com/watch?v=YmN_Wuo4cHg&w=560&h=315] Congratulations, Veronica! You are our September #spiceupyourlife Instagram contest winner of September! Glad you love the yummy popcorn! 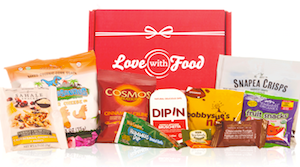 Both winner will receive an exclusive swag bag from Love With Food! Wanna be featured on Noshable, and win exclusive prizes? Join our October #lwfmonstermash Instagram contest by snapping a photo of you enjoying your FAV snack from our October box and tag it with #lovewithfood and #lwfmonstermash, or film your unboxing experience of the October Love With Food box and share it on Youtube!